Read about the best mobile plans and cell phones for seniors and check out cell phones and cell phone company reviews, pricing and tips. Designed with seniors in mind, the Jitterbug Smart2 features a well-lit screen, hearing aid compatibility, urgent care connection and more health and safety features. The Jitterbug Smart2 is priced at $149.99. The Jitterbug Flip brings you back to the cellphone basics and is built with seniors in mind. Features include bigger buttons, a brighter screen, built-in magnifier, simple menu and a powerful speaker. The Jitterbug Flip retails at $74.99. Pure TalkUSA offers no hidden fees and penalty-free plan switching so you can find the perfect plan for your personal phone usage. Plans include nationwide 4G LTE coverage and start at $20 per month. TracFone offers plans for both smartphone and flip phones. They have more flip phones for sale than the other companies in our top picks with three options for flip phones, including an Android-based phone that is a hybrid smartphone/flip phone. 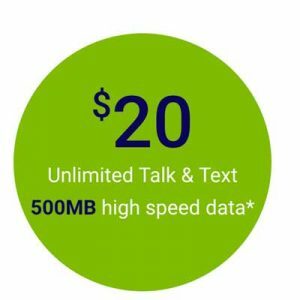 TracFone Wireless plans start at $15 per month. GreatCall offers add-on health monitoring and medical emergency services that work with their basic plan to provide assistance particularly helpful to seniors. Plans start around $15 per month. In our search for the top cell phones for seniors, we looked at over a dozen different carriers, both large and small. After comparing prices, phone availability, features seniors want and need and rankings, we selected our five top picks. Our top picks are the Jitterbug Smar2, the Jitterbug Flip, Pure TalkUSA, TracFone Wireless, and GreatCall. These five stood out from the competitors. 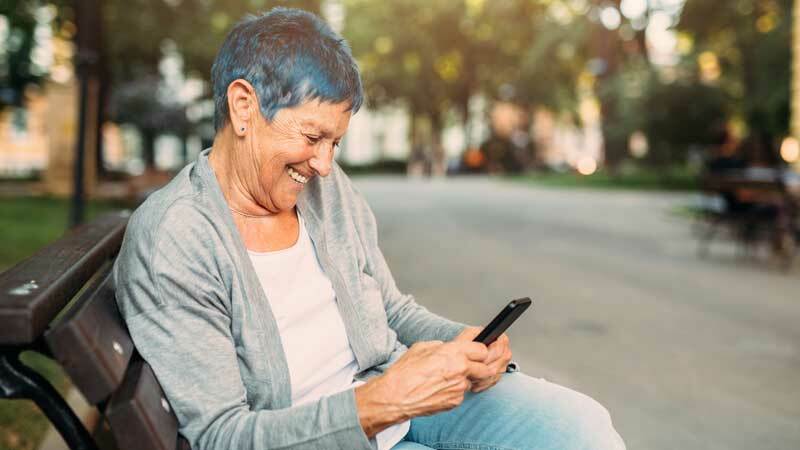 In this guide, we’ll walk you through essential cell phone information for seniors, products and services available, and our detailed look at each of our top picks. We also include answers to frequently asked questions. Be sure the company you select has coverage in your area. Purchase a phone that you are comfortable with. Ask yourself if you really need all of those extra features. Don’t buy a bigger plan than you need. It’s tempting to go with unlimited service plans but if you don’t need unlimited, don’t get it and save on your bill. Cell phone companies are more accurately cell service providers, although they sell phones produced by other companies as well. These companies sell access to a wireless cellular network so your phone can send and receive calls and text messages, and load data to run apps if you use a smartphone. The critical points to shopping for a cell phone company are how much freedom you have in selecting a phone or changing phones as your needs change, the service coverage (where you can make and receive calls to or from), price, and customer service. In the US, cell service works on two radio frequency systems. These are abbreviated CDMA and GSM. CDMA stands for Code Division Multiple Access and GSM stands for Global System for Mobiles. Think of it as similar to FM and AM on your radio. The vast majority of the rest of the world operates with GSM frequencies because European technology laws gave the makers of the GSM system a virtual monopoly. In the U.S., CDMA is still used by some companies because it is less expensive to set up. While there are technical differences, what matters to you as a consumer are coverage area and whether or not you can easily swap phones or companies. Phones sold by your cell phone company will most likely be locked. Locked phones will only work on that carrier’s network, so if you switch companies, you will not be able to use your phone with the new carrier. Any GSM network will accept an unlocked GSM service phone. CDMA networks can legally refuse to accept any phone on the network, and these networks do not support all CDMA phones. Every cell phone company/cellular service provider in the US runs on either the CDMA or GSM networks but not every carrier owns its network. Big carriers like AT&T and Verizon own the towers that broadcast the cellular signals, and smaller carriers rent the use of those networks. Partially due to not having to maintain large networks of cellular towers, companies outside the large national brands often offer significantly lower prices for the same, or better, plans. Even with service through smaller carriers like some of our best cell phone companies picks, you can get the benefit of the extensive coverage of companies like Sprint, Verizon, AT&T, and T-Mobile. When comparing cell phone companies make sure you know what kind of features you’re looking for in a cell phone and a cell phone plan. For example, are you a heavy smartphone user or do you just use your phone to call and text? If the former, you’ll need a cell phone plan with a lot of data. A talk and text only plan should yield a significant price decrease. When shopping for a new cell phone company, consider not only the actual price but what that cost includes. Are the calls unlimited in minutes and location, regardless of where you call? Do text messages have limits or count against calling time? Do plans roll over unused minutes to the next month? At what speed can the internet be accessed? Do you have to pay for internet if all you want are phone calls? Does the plan include medical alert technology? Many of the most prominent companies do not offer flexible plans and have base plans that require you pay for internet whether you want it or not. Many also no longer have flip phones in their line up of devices. A big point for consumers looking for a cell phone company is customer service. Being able to communicate well with a service representative saves a lot of frustration when you need help. Almost all companies now contract at least part of their customer service overseas where English is a second language. Be sure to ask about call center locations, then call one to see if you are happy with the communication before committing to a cell phone company. Many cell phone companies use a live-chat feature for customer service. If you’re on their website, you can chat with a customer service representative who can access your account without having to pick up the phone. This is a good alternative to calling a customer service phone number and possibly being put on hold for a period of time. There are dozens of cell phone companies in the market today. However, we’ve dug through the stacks of data to find the information you need. Our in-depth cell phone company analysis focuses on each cellular service provider’s plans, prices, phones, coverage, service, and much more. We researched both the big names in cellular coverage and the smaller companies with no long-term contracts. From there we narrowed our list of top picks down to our five choices based on features and topics relevant to seniors to find the best options. After our evaluation, we chose our top picks for cell phone companies: TracFone Wireless, GreatCall, and Pure TalkUSA . Each of these companies stood out from the competitors in different ways. Screenshot: Pure TalkUSA $20 Plan. Pure TalkUSA, founded in 2004, is a veteran-owned business based in Covington, Georgia. They currently have a “B” rating with the Better Business Bureau; however, the company addressed most of the complaints listed on the BBB site. They are one of the few cell phone companies with all of their customer service based in the US. Pure Talk does not have a presence in physical shopping locations so all purchases must be made online or over the phone. A bring-your-own-phone option lets you purchase an unlocked phone elsewhere and activate it on Pure Talk’s network. If you select this option, be sure to confirm with Pure TalkUSA that the phone will work on their network before making your purchase. Pure Talk sells several smartphones and two flip phones. As of April 2018, all of their phones are hearing aid compatible, making them ideal for seniors. Phones are purchased separately from plans, which is the norm with no contract carriers. All Pure TalkUSA plans come with unlimited talk & text and varying amounts of data. The cheapest plan starts at $20 with 500 MB of data and their most expensive plan is $45 for 10 GB of data. Pure Talk doesn’t charge overage fees if you go over data. Instead, they will slow your data speed until your plan renews. However, you will still be able to access your email and the internet, but the pages will just load slower until your plan renewal date. Pure Talk offers up to a 20 percent discount for the number of lines bundled on one bill. Read our comprehensive Pure TalkUSA review. For more information and to shop for plans, check out PureTalk’s Simply Smarter wireless plans or call (877) 959-9686. TracFone Wireless is one of the largest no-contract cell phone companies and owns StraightTalk, Net10, Total Wireless, Telcel, Simple Mobile, SafeLink Wireless, and Wal-Mart Family Mobile. Although TracFone owns these companies, services and plans differ between them. Tracfone has an “A+” rating with the Better Business Bureau. TracFone offers plans for both smartphone and flip phones. They also have more flip phones for sale than the other companies in our top picks with three options for flip phones, including an Android-based phone that is a hybrid between a smartphone and a flip phone. However, TracFone’s hearing aid compatible list does not include any flip phones. For a hearing aid compatible phone, consumers need to move to a smartphone. TracFone plans and phones are available through retailers nationwide such as BestBuy and Dollar General so you can shop in person if you prefer that to internet or phone shopping. Phones must be purchased separately from plans, which is typical for no-contract carriers. Smartphone plans and basic plans for flip phones are available. 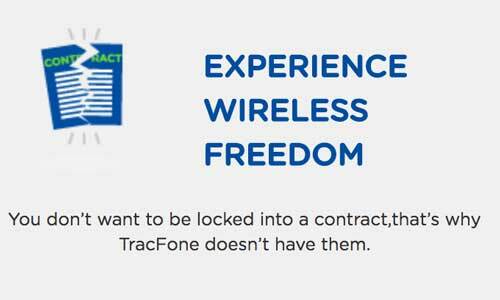 All TracFone plans have a minute, data, and time restriction. If you sign a yearly contract and use the included minutes before the year is up, you have to buy more minutes to use the phone. Add-on plans allowing international calls are also available. Plans start as low as $9.99 for 30 minutes or 30 days, whichever comes first. Their highest plan is $199 for 1,500 minutes and 365 service days. TracFone not only offers roll-over minutes (unused minutes that roll forward to the next month), they triple minutes purchased on non-smartphone plans so that 30 minutes comes out to 90 minutes. TracFone uses the 4G LTE CDMA system so phones brought to the service must be compatible with 4G LTE. GreatCall is a cell phone company with senior-targeted devices such as the Jitterbug flip phones and emergency medical alert devices, as well as smartphones. 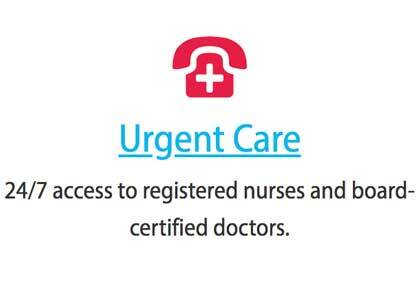 They also offer health-related services for an additional fee such as a medical hotline for health questions. With call centers based inside the United States, GreatCall has an “A+” rating with the Better Business Bureau and a four-star rating with over 800 reviews written in the last year on ConsumerAffairs. Phones from GreatCall are available through Wal-Mart and RiteAid stores and are available online through GreatCall, Sears, and Best Buy websites. GreatCall only uses the Jitterbug smartphones and flip phones and has no bring-your-own-phone options. The Jitterbug phones are designed with seniors in mind with large buttons on the flip phone and a simplified menu on the smartphone. Additionally, a medical emergency wearable pendant and wrist wearable are available, such as those you would use with a dedicated medical alert company. As with other no-contract carriers, you will pay for phones outright rather than renting or getting a free phone with an extended contract. GreatCall offers add-on health monitoring and medical emergency services that work with their basic plan to provide assistance that is particularly helpful to seniors. Plans are set up with call minutes, separate text subscriptions, and add-on options for the medical monitoring, medicine reminders, doctor hotline, and personal assistant services. $14.99 a month gets you 200 minutes. Health and safety plans start at $19.99 a month with discounted minutes for customers who purchase the health and safety options. Readers of this Cell Phone for Seniors guide also found these related articles helpful. Some cell phone manufacturers design cell phones specifically with seniors in mind. Here are the five best smartphones for seniors. This article lists features you should look for when shopping for a smartphone. These include emergency, accessibility and health features. Learn how your cell phone can help you manage your health – from keeping track of your medication to measuring your fitness level. Do I need to buy a phone or will the company give me one? Cell phone companies often advertise that you get a free phone with a new contract, but they do not give away phones. The cost of the contract includes the phone, in small amounts per month. No-contract cell phone companies such as our top picks do not hide the cost of the phone in monthly fees. Customers are required to buy the phone up front. While rules vary from company to company, most plans that are limited in minutes offer the option of adding more minutes during the month for an additional fee. Yes, you can keep your phone number when moving between cell phone companies. The process is called porting, and the Federal Communications Commission (FCC) says that no carrier may reject a request for porting a wireless local phone number. However, you are responsible for early cancellation fees on your current cell phone contract if it is still active when you move to a different carrier. Can I buy a new plan before my contract runs out? If you already have a plan with a cell phone company, there are probably penalties spelled out in the contract if you leave before it expires. Be sure you are prepared to pay the penalty fees for breaking the contract. Cell phone companies run promotions from time to time where they will pay your early cancellation fees with another carrier so you can buy their cell phone plan instead. You can call the company you want to do business with to ask them if they will pay your penalties for making the switch. Get that agreement in writing before you move on from your current cell provider. Do I have to pay for long distance or international calls? While virtually all cell phone companies include nationwide calling at the same rate as local calls, some carriers may have exceptions. The most common restriction on long distance calling is international calling, which may require an additional plan purchase. Some cell phone companies are starting to include calls to areas outside of the US in their plans, or are offering these calls at a lower rate than they have in the past. Ask about restrictions on calls outside of the country before you sign up with a cell phone company if you need to make these calls. When looking for a senior-friendly cell phone company, consumers should look at phone availability, coverage maps for their area, plan costs as well as what those plans include, and ease of communication with customer service. Consumers should be sure to confirm that service is available in their area, the window of time for returning a phone in case of an unexpected service issue or defective phone, and the policies for running out of minutes. While four big names in cell phone companies have long ruled the market, there are many viable alternatives now, led by the no-contract carriers. By renting service space on the existing nationwide cellular networks, these no-contract carriers lower their costs and pass the savings along to the customer. They also choose different market segments to focus on, such as seniors, and are flexible enough to offer more targeted options instead of expensive, one-size-fits-all plans.